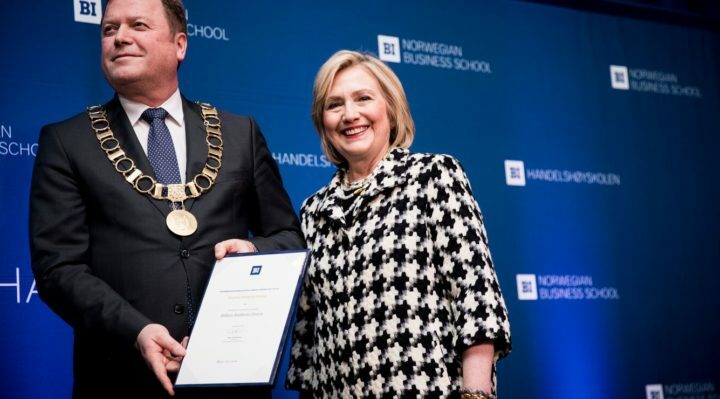 On Friday March 8th, on the International Women’s Day, Former U.S. Secretary of State Hillary Rodham Clinton was recognized as an honorary doctor at BI Norwegian Business School. Secretary Clinton has been a vocal advocate for women’s rights, and she has fought important battles throughout her significant career. 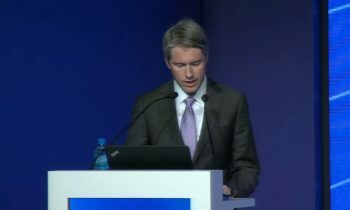 This effort corresponds directly with BI’s strategy aiming to shape people and business for a sustainable future. Clinton has used her influence in a number of important areas, and she strives for a society in which women have the power to affect change for development, justice, and peace. As First Lady of the United States, from 1993 to 2001, Hillary Clinton championed health care for all Americans and led successful bipartisan efforts to improve the adoption and foster care systems, reduce teen pregnancy, and create the Children’s Health Insurance Program. She traveled to more than 80 countries standing up for human rights, democracy, and civil society. In 2000, Clinton made history as the first First Lady elected to the United States Senate, and the first woman elected to statewide office in New York. As Senator, she worked across party lines to expand economic opportunity and access to quality, affordable health care. In 2007, she began her historic campaign for president, winning 18 million votes and becoming the first woman ever to win a presidential primary or caucus state. In the 2008 general election, she campaigned for Barack Obama and Joe Biden, and in December, she was nominated by President-elect Obama to be Secretary of State. In 2016, Clinton made history again by becoming the first woman nominated for president by a major U.S. political party. As the Democratic candidate for president, she campaigned on a vision of America that is “stronger together” and an agenda to make our economy work for everyone, not just those at the top. “At BI, we occasionally honor role models and academics who inspire us. The conferral of the honorary doctoral degree is a tradition where we recognize people who have had a profound impact to their field of work, lifting important questions onto the world stage. 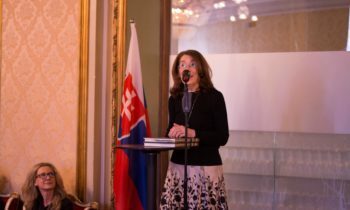 We are proud to include Former U.S. Secretary of State Hillary Rodham Clinton on the list of distinguished persons awarded honorary doctorates at BI Norwegian Business School and we welcome her to the BI family”, says President of BI Norwegain Business School Inge Jan Henjesand.